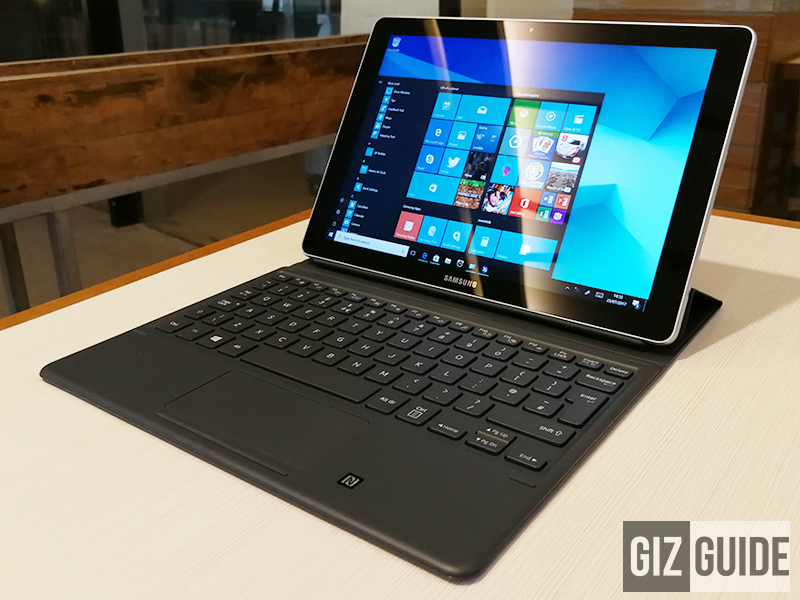 Samsung is scheduled to release the Galaxy Book in the country this week, a 2-in-1 ultraportable Windows tablet / notebook designed to take Apple's iPad Pro. Like what we mentioned previously, there are two variants of the Galaxy Book, a bigger and beefier 12-inch model and a smaller 10.6-inch version. In our region, we'll get the more compact 10.6 inch version. It's a pretty promising tablet which could be a great buy for those who need a capable Windows machine for productivity, chiclet keyboard for easy typing and S Pen for creativity. Disclaimer: This is a borrowed review unit from Samsung Philippines for our review. Our review unit didn't come with the actual box, but we got everything that we expected from Samsung's retail package. 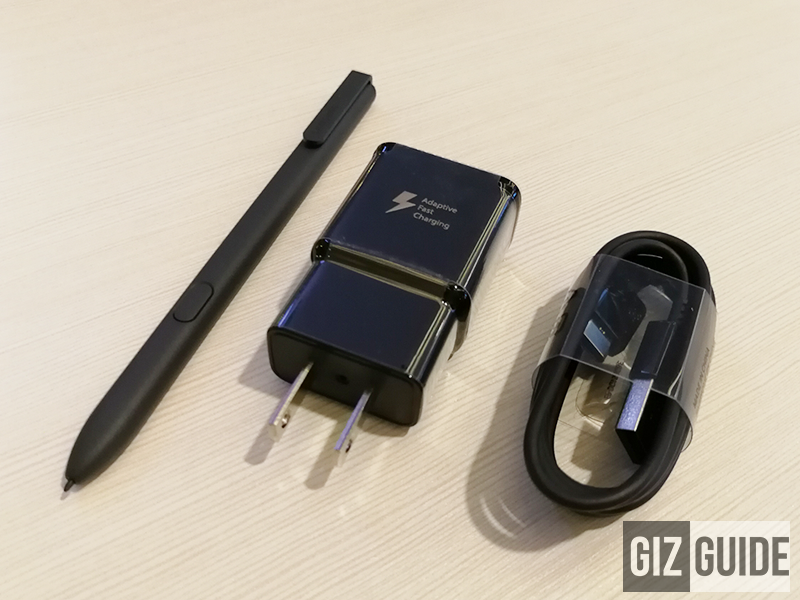 It goes with a chiclet keyboard case cover w/ premium leather-like book cover finish, Adaptive fast charging ready USB wall charger, USB Type C data / charging cable, multi-port dongle and S Pen stylus w/ extra tips. 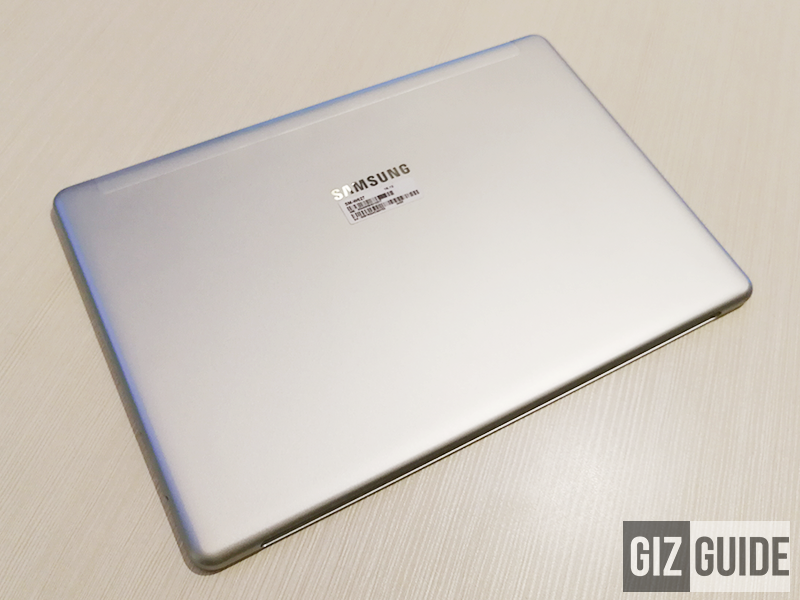 The way Samsung constructed the Galaxy Book is superb! The body is made out of a sturdy metal chassis with slim profile, gorgeous curves and chamfered edges. In front, the TFT 1080p display is covered with all glass with no mention of Gorilla Glass protection. The plastic keyboard case with leather-like cover finish also has a decent feel in general. Checking the design, the Galaxy Book is premium and compact. It is also generous curves all-over with slim 8.9 mm profile. The screen bezels has average thickness that's great for your grip. The keyboard cover case has good minimalist style as well. The beauty of a 2-in-1 device is you can use the Galaxy Book as a stand alone tablet or a tablet with keyboard. As a tablet, the Galaxy Book is a bit hefty at 644 grams, but it generally feels great to hold. 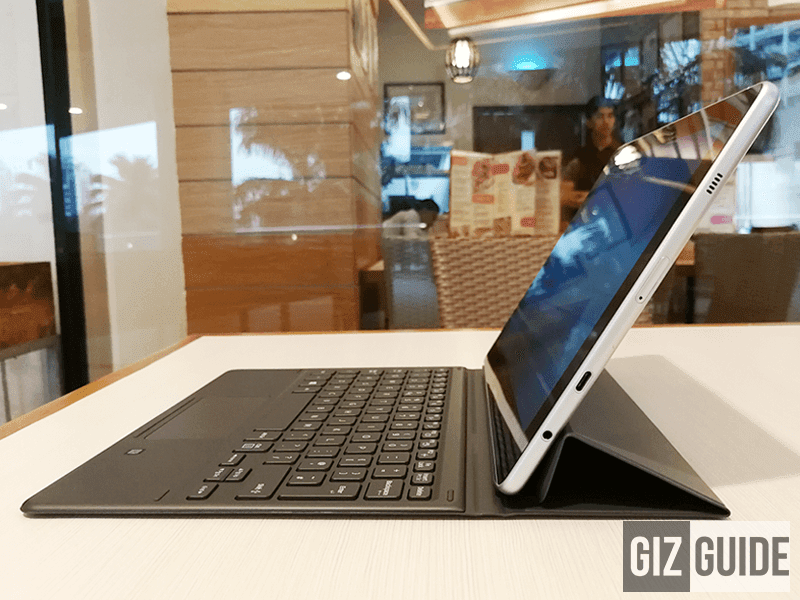 The tablet comes with a pretty clever and well crafted keyboard case. When docked with the tablet, the keyboard case can be used as a stand for notebook or tablet mode. The connecting pins are located in the middle. It has a very strong magnetic strip to ensure that the tablet won't fall off the keyboard easily. 1. This device is absolutely premium. It's made out of sturdy materials and has good design in general. The 1080p TFT screen has vibrant enough colors and can go very bright. But, it isn't that great for outdoor use. 2. The 2.6 GHz Intel Core M3-7Y30 processor with Intel HD Graphics 615 and 4 GB of RAM can get most of the office work and basic Photoshop done. It isn't just intended to be a gaming machine. It has 128 GB of expandable storage up to 128 GB. The 4,000 mAh of battery has up to 9 hours of life. 3. It boots with Windows 10 Home edition. It also has Cortana, your personal assistant that can help you search the web, find apps or files, manage your calendar and reminders and etc. 4. 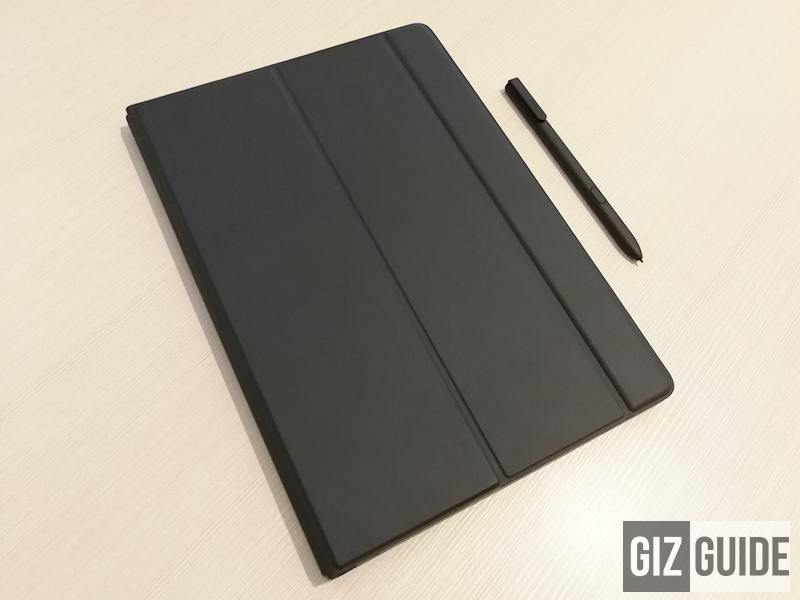 We like that this tablet has a 5 MP web camera, dual loud speakers, well spaced chiclet keyboard (for the size), narrow yet usable trackpad and battery-less S Pen stylus. 5. 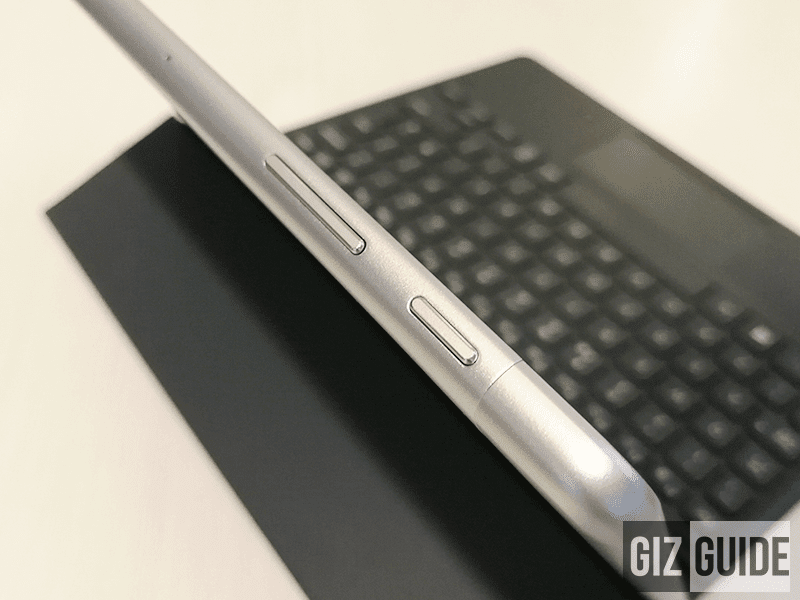 It has NFC on right side of the trackpad (for those who need it) and a single USB Type C port at left. You'll need a multiport dongle in order attach other USB devices, HDMI and etc. So far, this 10.6-inch Samsung Galaxy Book quite capable of handling most productivity related programs with ease. 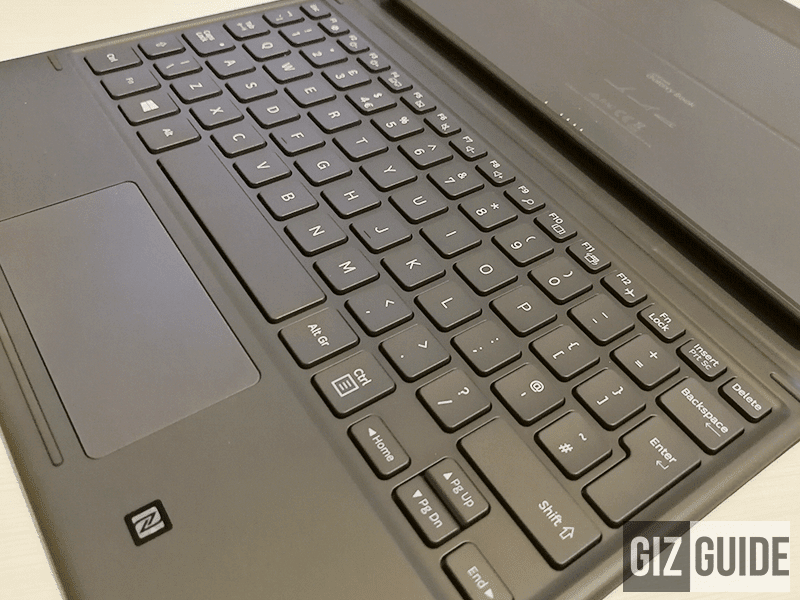 We also like its premium aesthetics and clever keyboard case / stand. Moreover, it has an S Pen which may unleash your creativity.